Power Supply (Transformer). 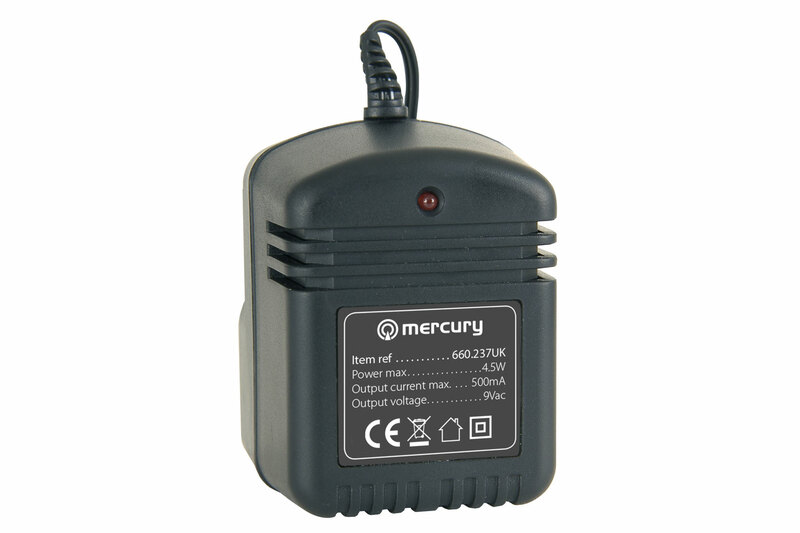 UK mains (230VAC) input and 9V 500mA AC Output. With Integral UK 3pin mains-plug. 2.1mm (hollow) plug on lead for AC output.